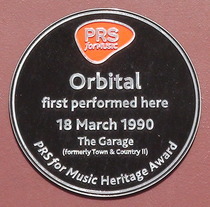 Orbital first performed here, 18 March 1990, The Garage (formerly Town & Country II). The plaque is on the brown wall below the gray canopy. August 2018: this building is threatened with demolition. 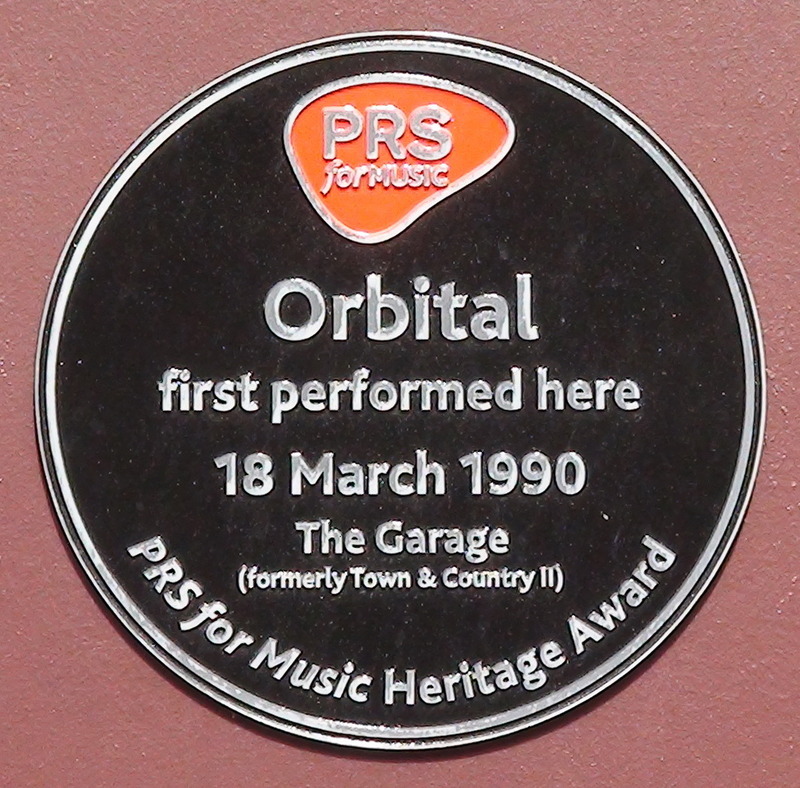 Are we proud of spotting this small, dark plaque? You bet we are!